The most effective time for transformation and new beginnings is the moment when the winds of change are already blowing in one’s life. Burnout, stress, crisis, confusion, loss, illness, major change: these are all words that let you know that you need to stop, orient yourself and listen to your inner wisdom before you can take your next step. Using imagery has the power to deepen and speed up any learning, healing, problem solving, or creative process. You will learn to tap into your “genius imagination,” or “radical imagination” to get a vivid and accurate snapshot view of where you are right now, what has led up to it, and what is possible—as well as to support you to say Yes and map out steps to a new future. In so doing, you will also gain the tools to continue this learning in everyday life or to work more effectively to help others professionally or personally. Monday May 6th: 9.30-1.00pm, finish with lunch and depart. Life Choices, Life Changes, The Joy of Burnout and You Are What You Imagine, as well as her memoir Into the Wood and Out Again. She is also an international trainer, coach, speaker and psychotherapist. The 'Say YES to Happiness' seminar is based on the New York Times best selling book, Happy For No Reason by Marci Shimoff . In this one day event you will learn 7 steps to becoming happy from the inside out - where it really counts. 1. A new definition for Happy. 2. How to raise your Happiness set point. 3. The Keys to cultivating Happiness in your life right now. 4. How to create good Happiness Habits. 5. A 7-step holistic programme to building your inner home for Happiness. Make Your Mind your ally. Live a Life inspired by Purpose. Let love lead in your life. Recognise you already have within you the ability to live in a state of joy. The habits that happy people have mastered. Becoming Happy no matter what. Happy people are more fulfilled, relaxed, and peaceful. They naturally have greater opportunities, better health, more fulfilling relationships, bigger success, and so on. You can, too! This seminar promises to be informative, interactive, inspirational and entertaining. You will discover how to raise your happiness set-point and experience a deeper, more permanent state of happiness, regardless of your external circumstances. Join us in this fun day at the fabulous Clayton Hotel Silver Springs, FREE PARKING. The fee for the day includes arrival break (tea/coffee/granola bars & fruit skewers) & lunch (choice of Main course/Selection of mini desserts tea/coffee). CORK WORKSHOP 25TH MAY, Clayton Silver Springs. Pauline Rohdich is an Advanced RTT Clinical Hypnotherapist, Spiritual Life Coach, Happy For No Reason Trainer, Yoga & Meditation Teacher. She is the creator of Just Pause, a personal development business with a mission to remind you that you have the power to change your life and improve your happiness, which she teaches at her Say YES to Happiness Seminars around Ireland. She works from her home in Galway, where she has her own yoga studio and private therapy practice and thanks to technology, she can facilitate clients from around the world. Growing up, Pauline always had a strong connection to the mystical and sensed there was so much more to understand about God and spirituality than what she had been exposed to in her strict Catholic upbringing. Her background has seen her as a Garda, Air Hostess and entrepreneur in a variety of small businesses. However, her deepest desire has always been to help people become the best they can be and a major shift in direction began in her mid-thirties. Following the first of four miscarriages, she found Reiki and energy healing and became a Reiki Master and Angel guidance practitioner. In 2008, she trained as a yoga and meditation teacher with Deepak Chopra and ran her own holistic centre in Tuam, Galway for just over three years. She since qualified as a life coach with a strong leaning towards spiritual development. In 2017, having returned from Australia, she trained with the UK’s top therapist, Marisa Peer as an RTT Hypnotherapist, helping clients get to the root of their emotional pain and break free. She teaches her clients to collaborate with their mind so, as to create what they really want. Recently, Pauline has trained with Marci Shimoff as a Happy For No Reason Trainer, teaching the principles of becoming happy from the inside out. Additionally, she runs workshops and retreats and speaks to corporate groups on the power of the mind and the importance of self-love and inner peace. Pauline is committed to continual learning and self-improvement and is passionate about sharing her knowledge in a fun, inspirational and interactive way. In the 20th Century space was the final frontier, in the 21st century Science is looking into the human mind and our consciousness! So there's a global revolution happening in Science and brave pioneers are piecing together a new reality of life, in which human emotions aren't arbitrary, they are the very building blocks of life itself! Each of the specially selected speakers, will be expounding their life's work to open doors of perception, which enable you to develop your consciousness with the understandings of today and the eternal mysteries of the past, as you embark on a 3 day journey inside yourself! 9 special talks designed to Empower You tools to Develop Your Consciousness! Plus this year we have a special Monday workshop featuring Gregg Braden and Joe Dispenza and other activities. A joy-filled day dedicated to connecting with the Angels & Archangels It is your spiritual right to know who your angels are - you have the gifts within to harness this incredible relationship. 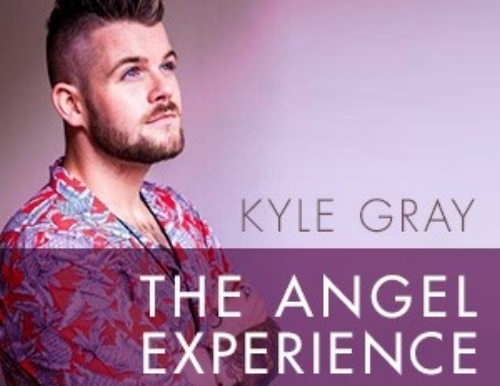 For the past 15 years, Kyle Gray has dedicated his life to understanding what it takes to create a bridge between heaven and Earth. He believes that it is his soul-led mission to help people like you to create a personal bond your Guardian Angel. The angels are real and they are with you right now. They are dedicated to your health, healing and growth. You are your angels purpose and when you choose to develop a bond with them - you allow them to fulfil their calling so that they can guide you with love. Have you ever felt like your angel has been trying to send you a message? Have you ever found a pure white feather that arrived somewhere with no worldly explanation? The Angels are with you right now. Many hear stories about the angels intervening upon the Earth, saving lives and miraculously appearing to others ? but what you need to know is that you too are worthy of these experiences and that you can develop through meditation, prayer and spiritual practice. You'll be introduced to the Angels of the world and given examples of how they have shown themselves through the years and in different parts of the worlds. You'll also learn about the Archangels that are working directly with the Earth and how you can harness their supportive light upon your personal journey. Remove the blocks from your energy that can stand between you and your angels. PSYCH-K® is a Balance process that complements all religions, belief systems and modalities. Where are you in your life journey? Are you just becoming aware of the power your perceptions have? Are you well into your journey or well studied in many modalities designed to create change at the powerful subconscious level of mind? Are you a professional practitioner and support others in their healing and evolutionary journey? PSYCH-K® WILL MEET YOU WHERE EVER YOU ARE! How to work WITH your subconscious and discover what blocks you. How to identify and shift limiting beliefs into empowering beliefs to transform your life! The investment you make in yourself is priceless and life changing! For those interested in supporting others or perhaps adding these processes to your existing tools with clients, or even if you're interested in creating a new career, this highly interactive 2-Day Basic workshop will also qualify you as a PSYCH-K® Facilitator and allow you to use these processes for private one-to-one sessions, professionally (with yourself, friends, family or clients) for monetary gain or otherwise, at your discretion. Do you sense something stirring inside? Act before your conscious mind talks you out of this amazing opportunity! Your future-self will thank you! Katherine Moyer will be your workshop facilitator. Katherine was selected and trained by Rob Williams, the originator of PSYCH-K in 2003. She worked as a corporate IT Trainer and Problem Solver in a U.S. Fortune 150 company for 15 years. Blending her unique background with the power of PSYCH-K, she travels internationally offering all levels of the PSYCH-K workshops for those who are ready for this life changing technology to re-write the software of their minds, and change the printout of their life! Monday (Oct 8) 9:00am to 3:00pm, practice the tools you have invested learning (no additional cost). Attend the whole day or leave early if you need to. RSVP required. Registration open until September 28th while seats are available. Space is limited and on a first come first served basis. This 3-day retreat invites you to unwind in the serene settings of Lisvanagh country estate in Carlow (just over an hours drive from Dublin). Our intention is to revitalise the body to its natural capacity for healing, learn from its wisdom, align with our true nature and develop greater self-awareness. Opening the body we open the mind. Through the body, we will experience space, stillness, e-motion, sensation, vibration and bliss. You will receive a full timetable of events and scheduled free time on the morning of your arrival but here is a taster of what’s to come! You will arrive Friday from 4:30 pm to settle into your private room and enjoy the gardens before a light supper at 6 pm. Our programme will begin from 7:30 pm with Healing Yoga to help us arrive and anchor. On Saturday we will begin at 8:30 am with Pranayama and Somatic Movement followed by a silent breakfast and a mindful woodland walk. Returning to the studio we will explore deep tension release and authentic movement before a nourishing lunch. After lunch you can experience a multitude of delights as you unwind, curling up on the sofa with a good book by a big log fire in the oak-panelled library, or taking a snooze in the blissful quiet of your bedroom, soaking in a luxurious bath with no time pressure, or sipping tea as you take in expansive views of the pleasure grounds. The afternoon workshop will revitalise the body and open the mind with sensory practices and dynamic meditation followed by a healing relaxation to rest and integrate the day’s learning. After dinner, there will be guided Yoga Nidra for all who would like to attend. Sunday awakens the True You with sound and voice exercises to purify and uplift the energetic and physical body before a hearty breakfast. Our final session will focus on enhancing personal awareness through Authentic Connection exercises followed by Creative Visioning, Intention & Manifestation practices. We will enjoy afternoon tea together at 1 pm before departing. Throughout the weekend, one to one sessions with Laura will be available in a private treatment room separate to the studio. These sessions enhance the process of the weekend. Individuals receive a personally designed practice to assist them towards their goals. Sessions are 50 euro. 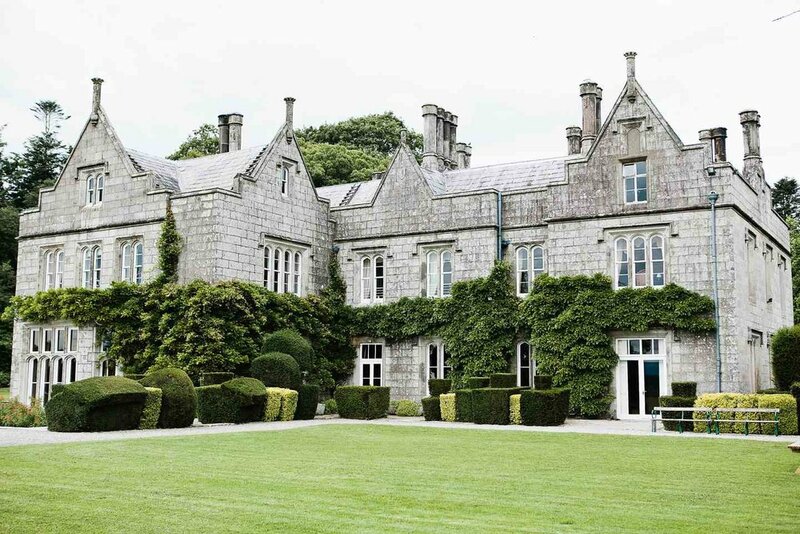 Lisnavagh House offers the ultimate mix of homeliness and grandeur with several acres of beautiful gardens in private and exclusive surroundings. Situated on the Carlow/Wicklow border about an hour from Dublin, there are striking panoramic views of the Wicklow Hills, Blackstairs Mountains and Mount Leinster beyond the estate’s 600 acres of woods and farmland. With organic ingredients from local suppliers and the Walled Garden at Lisnavagh, vibrant recipes are used to prepare delicious organic dishes. All meals are served in the dining room, with a large mahogany table and a fireplace that brings a huge sense of warmth. Homemade snacks are also available throughout the weekend, along with a selection of teas and coffee. Luxury accommodation is provided in the main house where each guest has their own individually styled bedroom, with historic views of the gardens and parkland or beautiful accommodation in the stables courtyard adjacent to the house. When booking please select your favourite room based on the descriptions below. Each room has a different pricing and if rooms are shared a 10% discount is available. Prices below are based on single occupancy. Prices include luxury accommodation, meals and snacks and full tuition for the retreat programme. Lisnavagh Stables are for those who want quirky, fun and cosy double bedrooms with an ensuite bathroom. There is a facility for tea & coffee in an adjoining outbuilding known as ‘The Barn’, which is perfect for reading or relaxing. The Courtyard Stables are situated on site just around the corner from Lisnavagh House. See stables accommodation by clicking here. Lisnavagh House has seven individually styled bedrooms for you to choose from during the retreat, this includes the exclusive and private use of Lisnavagh House and gardens. See bedrooms by clicking here. You won’t find televisions, radios, or minibars in the Lisnavagh bedrooms. The unique and dramatically different bedrooms are tranquil and calm - ideal for sleeping well. • Bathrooms include Voya natural products. Please note that due to the period features of Lisnavagh House some of the bathrooms contain showers and some baths only. Some of the bedrooms are ensuite and some bathrooms are next door or across from the bedroom so as not to spoil the dimensions of the old style bedroom. Bathrobes are provided in each bedroom. Prices below are based on single occupancy and include luxury accommodation, meals and snacks and full tuition for the retreat programme. See www.Lisnavagh.com for directions on travel to and from Lisnavagh. If travelling from abroad, please ensure that you are in possession of private travel insurance with protection for the full duration of your holiday in respect of medical expenses, accidents, injury, death, repatriation, theft, cancellation, curtailment etc. Reserve your place through Eventbrite or contact Laura directly at laura@healingyoga.ie or call 087-9633229 if you have any questions. Early Booking is advised- Places are limited to create an intimate group dynamic and to provide individual attention. Your booking will only be confirmed with a non-refundable deposit of €300, with full payment required by January 15th, 2018. Tickets : €10 per day (online only special 2 for 1 Saturday 28/10 and weekend ticket €20 (all three days) available through Eventbrite) . Under 16's go free. Extensive schedule of meditation, yoga, talks and workshops for both adults and children. As the nature of Irish wellbeing evolves, a unique collaboration between Mary Sheridan of ‘Mind Body Spirit Dublin’, and Elaine Woods Clarke of ‘Wellbeing with Elaine’ is born. "The Wellbeing Festival" (incorporating Mind Body Spirit Dublin) has emerged from Mary's many years of experience with the Mind Body Spirit Festival and Elaine's extensive corporate and holistic background. Mary and Elaine are transforming Mind Body Spirit Dublin into a unique Wellbeing Festival with the intention of amplifying the light consciousness, and heart centred nature of Ireland and our planet. This Festival will take Mind Body Spirit Dublin very firmly into this new era of light consciousness and heart centred living and is designed to bring together leading authorities from Ireland and the Globe, to showcase the diversity of natural health, complementary medicine, spiritual healing, and the human potential movement. The current rapid expansion of healing phenomena, requires an event in Ireland that provides a high quality, trustworthy environment for people of all backgrounds to share. We are confident that The Wellbeing Festival will celebrate the wisdom of the Irish people as Global Citizens, in collaboration with representatives of other nations. "Feed Your Mind Body & Spirit". 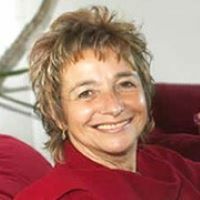 Sonia Choquette is a celebrated worldwide author, spiritual teahcer, six-sensory consultant and transformational visionary guide and this is her first visit to Ireland in 14 years. An enchanting storyteller, Sonia is known for her delightful humour and adept skill in quickly shifting people out of psychological and spiritual difficulties and into a healthier energy flow. She is the author of 24 internationally best selling books on intuitive awakening, personal and creative growth, and the transformational leadership capabilities that reside within, most notably with the New York Times bestseller The Answer is Simple. This fascinating and inspirational one day workshop with Sonia provides all the information you need to help you connect with your spirit guides so that you can enjoy all the love, abundance, and joy you are entitled to. We are all spiritual beings with a spiritual support system on the other side. How to create a more accepting space, within yourself, to feel your guides. Invigorate yourself by taking some time out to invest in you! Our seaside courses provide rest, reflection & rejuvenation. You will learn and experience easy, straightforward approaches, which will empower all aspects of you- Mind, Body & Soul- for deeper, more lasting, positive changes. MIND- Learn how to get your mind working for you rather than against you. By examining the attitudes and mindsets that produce success & happiness in life, and analysing how the mind works; you will learn how to truly impact your behaviour, your experiences and what you attract into your life. With this empowering knowledge, you will understand how to effectively influence your body, feed your soul and overall, become a much more positive you! BODY- Learn simple but powerful tips in nutrition which will improve your daily lifestyle to get the best out of your body. By discoverng the small changes that can have big impacts, you will gain a more thorough understanding about what works best for you in order to boost your energy and overall wellbeing. Get active by enjoying fun, motivating fitness classes, to suit all levels, which will invigorate not only the body but the mind and soul as well. SOUL- Learn how to find meaning, purpose and passion in life by answering questions from a deeper place of consciousness. Define your goals and dreams by considering the 7 important areas in your life- personal goals, relationships, health / body, career / education, recreation, financial and contribution. Experience meditation and the benefits of mindfulness in order to develop the art of mindful living so that you can begin to bring these practices into your busy day to day lives. By doing this, you will understand how to rebalance your life and focus on the importance of the mind, body and soul connection. for the ultimate weekend for the senses. Angela’s passion for discovering how to attain the “Divine Design” in one’s life has been a driving force for her since childhood. Angela, a Board Certified Naturopath, registered Holistic Health Practitioner and Energy Kinesiologist, has taught and lectured internationally. She developed a program known as Polarity Reflex Analysis and Nutritional Assessment (P.R.A.N.A,) and in 2000 was the guest speaker at the Medical Breast Cancer Conference in Grado, Italy, representing the alternative health care field. As a clinician for over three and a half decades, Angela brings to the teaching and lecture circuit all of the skills that actually work on clients in a clinical setting, as opposed to theoretical solutions that may or may not be effective. Angela counsels her clients that they are already whole, complete and perfect and are designed to be happy, healthy and prosperous. We have been going about healing ourselves all wrong! We have been spending our time identifying and attacking the disease, detoxing the disease or changing lifestyles, and we still have the same problems, only more of them. My patients inspired the Karmic Cleansing System, through the discovery of the belief they were victims to their bodies instead of having dominion over it. I discovered this belief was not a personal belief, but a collective belief. This occurred because of imprinted patterned karmic thinking they inherited either through DNA, or past experiences from another time, or from early childhood. They did not choose these beliefs they just had them! Learn how to identify how Karmic imprinted beliefs affect your health and vitality. The mind is divided into two: higher mind and lower mind. • Lower-mind frequencies are focused on survival – fear-based thinking. • Higher-mind frequencies are focused on spirit – love-based thinking. When you clean and release the lower mind karmic imprint frequencies, the mind becomes free to integrate and align with higher-mind energies so that optimal health is enjoyed at any age. Join us for a couple of hours of fun, discovery and enlightenment about how the frequency of the state of your health, is dictated by the frequency that you are vibrating at in your consciousness. The frequency of your consciousness is dictated by your lower mind or your higher mind. Enjoy the process of learning about your Real self, your Higher self. Enjoy a rejuvenating break and learn empowering practices that will inspire clear, simple, positive changes in your life. Reinvigorate yourself at Seafield Hotel, Ballymoney, the 4* beach side hotel & award winning spa. Learn & experience easy, straightforward approaches, which will empower all aspects of you- Mind, Body & Soul- for deeper more lasting positive changes. Join Clair Swinburne (Master Practitioner of Neuro Linguistic Programming) Shelley Atkins (Fitness & Nutrition Teacher) and Lisa Hamilton (Life Coach) for the ultimate weekend for the senses. FULLY BOOKED. Come and join us as we explore the spiritual journey as illustrated through the Enneagram and Dante’s timeless literary masterpiece, “The Divine Comedy” in Florence, Italy, Dante’s birthplace, the city that gave birth to the Renaissance, sometimes referred to as “the Athens of the Middle Ages”. Over four days in the centre of historic Florence we’ll journey through the nine circles of the Inferno, the seven terraces of Purgatory, and the nine spheres of Paradise as Dante shows us the path toward personal and spiritual growth in his timeless literary masterpiece. This in-depth exploration of the Enneagram through the work of Dante and his remarkable poem will take the form of lectures, group discussion and experiential work. There will also be a guided tours of places associated with Dante’s life and the action of the Comedy such as Santa Croce, and we will visit Casa di Dante -Dante’s house in Florence. Accommodation will be provided at the Suor Oblate convent, a simple town villa which expands behind a typically simple Florentine entrance, presenting grand spaces, over several floors with good sized rooms and common areas all beautifully maintained with antique furnishing, peaceful guest spaces & a beautiful Italian renaissance garden. It’s a great location in the heart of this famous Italian city with lots of restaurants nearby which offer food to suit all palates. Fees: Early Bird until Feb 15th, 2016: €755.00 single; €795.00 pp double, thereafter €855.00 & €895.00. Residing off site: €525.00 (limited places, includes everything other than Bed & Breakfast). Price includes 4 nights B&B accommodation in the historic centre of Florence, all tours, presentations and two evening meals. Note: there’s an evening ‘curfew’ in the convent of 11.30pm. Non-residential, including tours and evening meals as described above: €525.00. We can suggest accommodation nearby.